Using Mocha AE CC in Adobe After Effects? View the Compare Mocha Chart to learn about Mocha Pro 2019’s advanced features. Watch a quick tour with Mocha product manager, Martin Brennand. 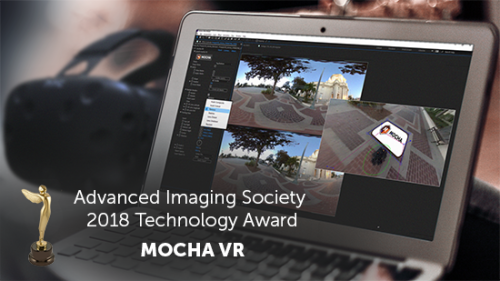 Mocha’s famous Remove Module now works on 360 videos by analyzing temporal frames and “automatically removing” unwanted elements for massive time-savings. For floating and render license options, contact us. Want More Training? Getting Started With Mocha Series Whether you are working in Mocha AE, Mocha Pro or the integrated Mocha tools in Continuum or Sapphire, we recommend watching the Getting Started with Mocha training series. Over 4 hours of training videos to help you get up and running quickly. Stream it for free or purchase here for downloadable projects and assets. For hundreds of more Mocha training videos, visit Mocha TV.